When art director Emily McDowell was diagnosed with Stage 3 Hodgkin’s lymphoma, the worst part wasn’t losing her hair: it was losing friends who drifted away because they didn’t know what to say. 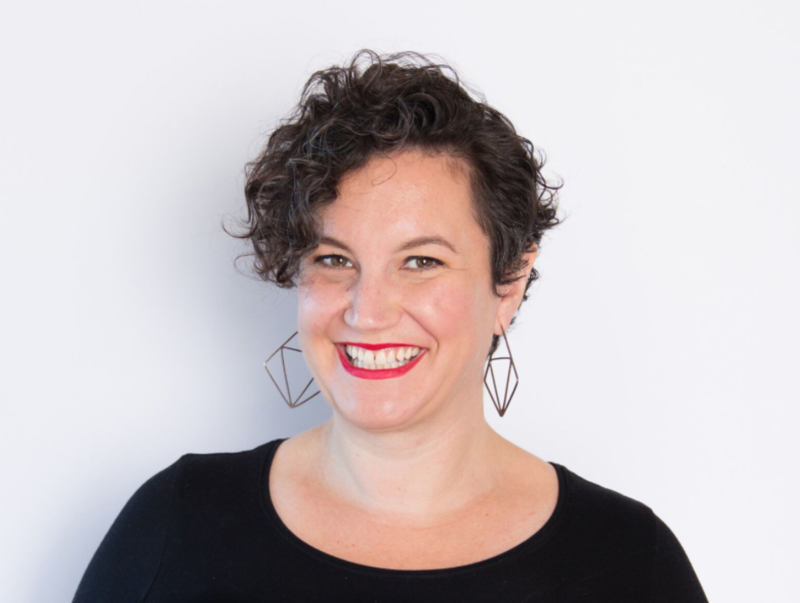 McDowell has since kicked cancer, and to solve the problem, she’s launched her own illustration and greeting card company, Emily McDowell Studio. 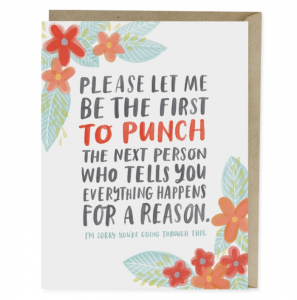 Among her greeting cards lines is Empathy Cards, which include frank, honest statements about serious illnesses (for instance, “when life gives you lemons, I won’t tell you a story about my friend’s cousin who died of lemons”) juxtaposed against McDowell’s cheerful, colorful illustrations. They’ve proven so popular that also co-authored a book (with social worker and cancer survivor Kelsey Crowe) released earlier this year called There Is No Good Card for This: What To Say and Do When Life Is Scary, Awful, and Unfair to People You Love. Folks caught up with McDowell to discuss why sympathy cards needed a reboot, how to be supportive in the face of a life-threatening illness and more. What was your inspiration for creating Empathy Cards? Was art a part of your recovery process? 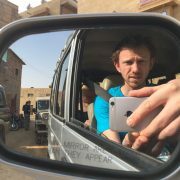 I was diagnosed with cancer in my twenties, and one of the most painful parts of the experience was watching my friends and family trying to connect with me. In some cases, they couldn’t and it was hard on both them and me. Pain and grief can put people in what can feel like an impossible situation if they don’t know how to help, and sometimes people end up disappearing because they’re afraid of the situation. Later in life, after I started my greeting card business, enough time had passed for me to develop new perspectives on the relationships in my life and reflect back on my experience with cancer. Having spent many, many hours in the stationery industry, and having received several traditional sympathy cards myself, I saw an opportunity to do something different, that helped friends and family find the right words and helped people going through a hard time feel seen and understood. I had the idea for empathy cards, and it turns out that people not only liked them, but needed them as well. While I did use art to cope, I have always loved to draw and write, so I wouldn’t necessarily say it was specifically a part of my recovery process – it’s always been an ongoing part of my being alive process. Where do you think traditional sympathy cards fall short? 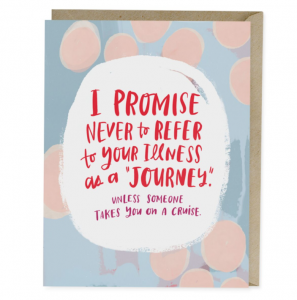 It’s not so much that sympathy cards themselves fall short, it’s more that our perceptions of what people in crisis want to hear and need to hear don’t line up. 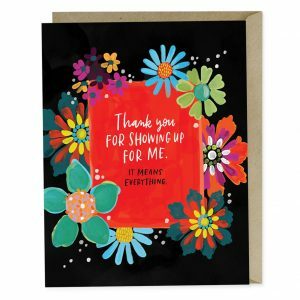 A card that says “get well soon!” isn’t helpful if the recipient knows they might not recover. And when someone is grieving, sending “sympathy” is a nice thought, but it doesn’t really penetrate the wall of overwhelm and sadness. I wanted to make something that would help well-meaning people find the right words for the ones they cared about, in a way that spoke to the real emotion behind the scenes. Why do you think your cards have proven so popular? Is it the artwork, the sentiments, a combination of the two? I think the cards really help people express their genuine friendship, wishes and love without downplaying what’s really going on, and in a way that reflects the truth and reality of people’s lives. 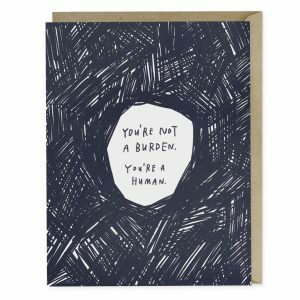 Our empathy cards help people add some humor into tough situations, and help find the words that are often really difficult to come up with on your own. One of the hard parts of being sick or grieving is that your friends and family often tiptoe around you or don’t know how to treat you, which makes you feel even more alienated. The realness of our empathy cards can help break through that barrier. Often people don’t know what to say or do when someone they care about is dealing with loss or a serious illness. Why do you think we tend to clam up or rely on platitudes? What’s your advice for not saying or doing the wrong thing? Most people are really concerned about saying the exact right thing, and sometimes that can prevent us from saying anything at all. The truth is, there is no ‘right’ thing to say. Really, being supportive is mostly about listening rather than saying anything at all. All of us struggle to find the right words, and everyone wants to be helpful. All you really need to say is: “I’m here. I’m thinking about you.” Practice being a good and present listener, and try not to give advice unless it’s expressly asked for. We often default to advice-giving because we want to help fix the problem, but the truth is that most of the time, it’s not helpful, and can result in in the person with the problem not feeling heard.